Shelton is a town with a number of great old bars, and perhaps the liveliest and oldest is the Log Cabin Bar & Grill. New owner Lori showed me photos not only of the remodeling and fixing they did, but also old shots from the 20s and thereabouts, when the place was a filling station as well as the Ray Mitchell Tavern, on a dirt road. 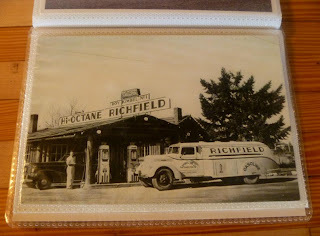 Lori believes it was a tavern even before December 1933 (i.e. before prohibition ended) -- and who knows, maybe it was? 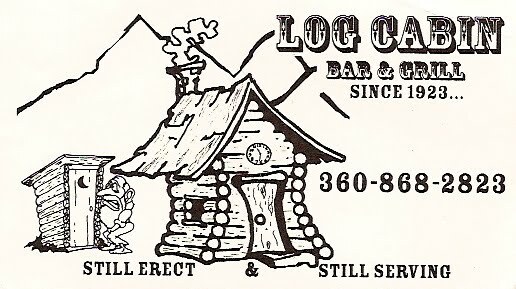 I do not know when it became known as the "Log Cabin," but it was sometime before 1960. 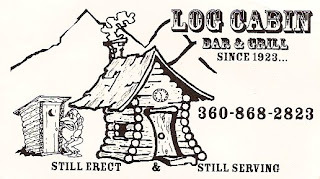 The attitude at the Log Cabin is brassy, from the menu boards above the bar to the bartenders. 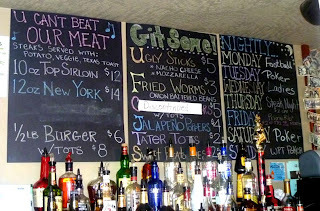 The liquor is pretty much the basics, and the food offerings include affordable steaks and fried sides including "Ugly Sticks" and "Fried Worms." The "Boys" and "Girls" rooms are in a separate log shack out the back door. 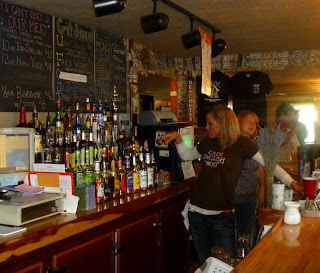 The place was fairly buzzing when I went, which was not a typical busy hour for bars. 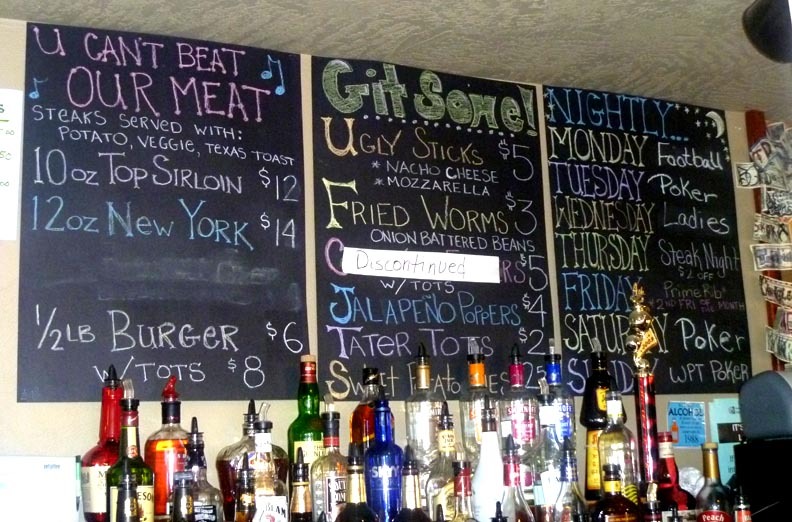 It seems like a pretty fun place and its great to see someone revitalizing it.